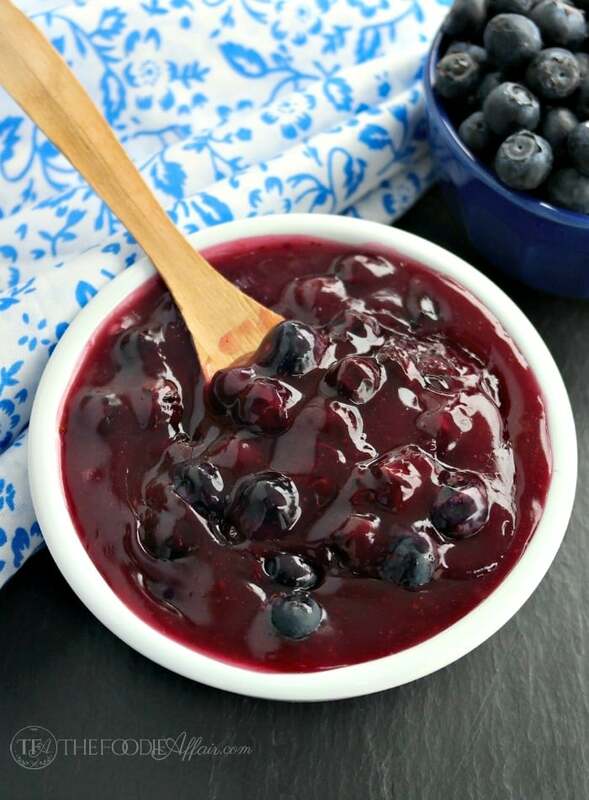 Thick and sweet homemade blueberry sauce with a hint of orange and almond extract for topping waffles, pancakes, yogurt or pie! Let your imagination go wild with this sauce! 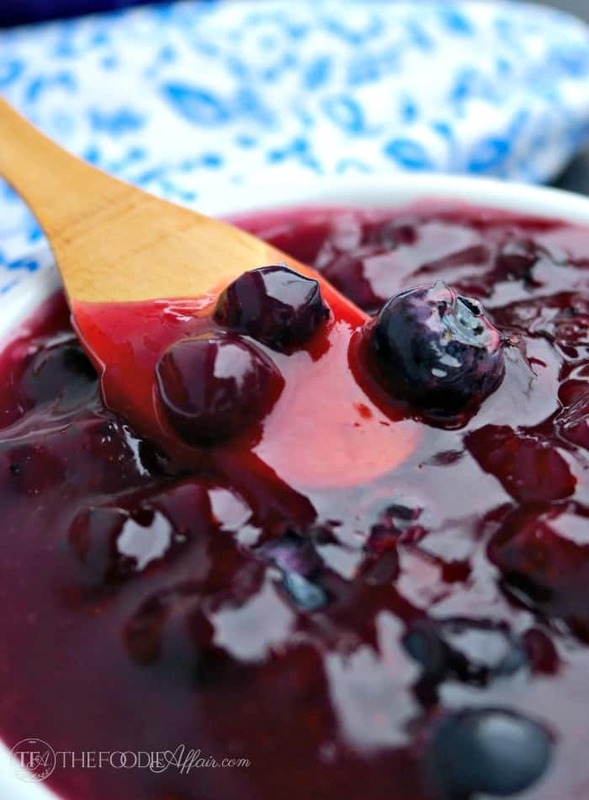 This homemade blueberry sauce is delicious by the spoonful, but there are so many other uses for it as well! Add a scoop to Greek yogurt for your own fruit and yogurt parfait, stir it in oatmeal, smother a piece of toast with it or top your pancakes and waffles with this sauce! I’ve made two batches of this sauce; one with vanilla extract and the recipe I’m sharing here with almond extract and fresh orange juice, which happens to be my favorite combination. The orange adds a simple layer of flavor, and the almond is just fantastic! You can definitely detect a hint of citrus in that combination, but it’s not overpowering. 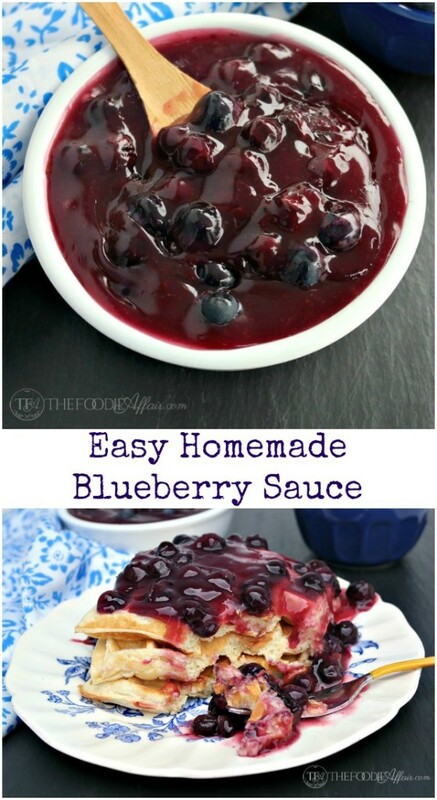 Berry sauce is simple to cook, so play around with the ingredients by modifying the flavor combinations. What do you think would be a tasty mix? Lemon? How about blueberries with lemon and basil! Start stocking up on fresh plump blueberries when you see them go on sale. 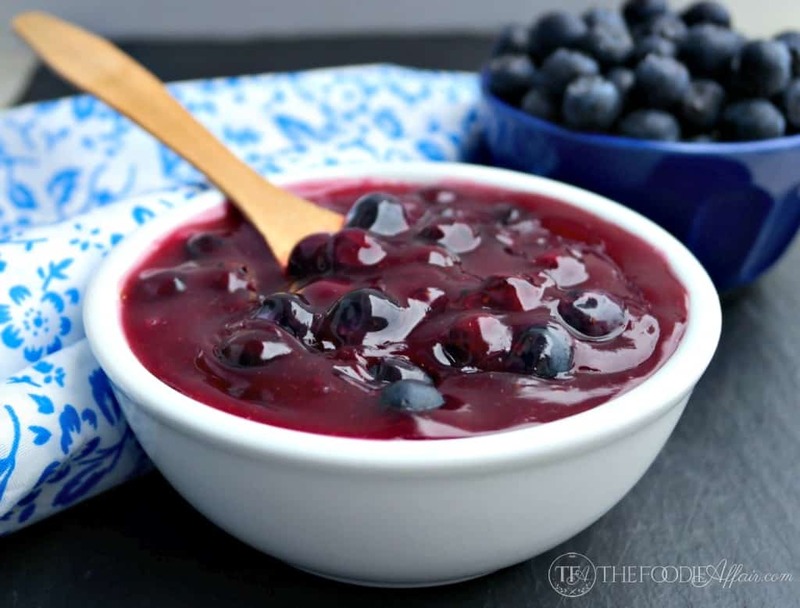 They freeze easily and you’ll love having a stash to make this blueberry sauce throughout the year! Enjoy the topping on this no-bake blueberry cream cheese pie! You’ll also want to try this Peach and Blueberry Buckle, Blueberry Coffee Cake or how about adding this topping to creamy homemade yogurt! But FIRST breakout the waffles and smother it with this homemade blueberry sauce! In a medium saucepan over medium heat add the blueberries, 1/2 cup of water, orange juice, and sugar and salt. Fold ingredients together and bring to a boil. In a separate small dish whisk together until smooth the water and cornstarch. Add the slurry to the berry mixture and cook until the sauce thickens up (3-4 minutes). Remove from heat and stir in almond extract. Now this is one “berry” delicious sauce. I love the fact that you have made it delightfully gluten free. I think this sauce is going to be rocking slathered on top of my oatmeal in the morning. Sharing and pinning! I could think of a million places to use this luscious looking sauce, starting with a spoon directly in my mouth! This looks so rich & luxurious – I want to put it on EVERYTHING!! oh, those waffles! this sauce sounds perfect! This looks amazing! 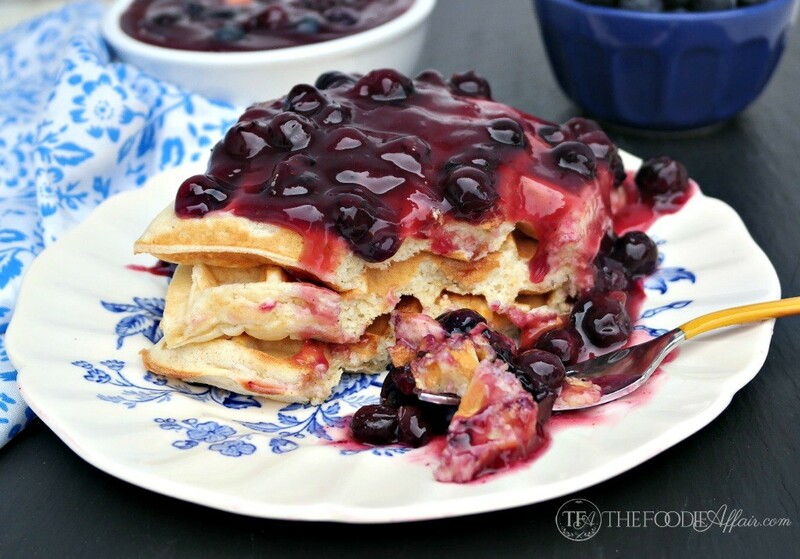 I love blueberry anything so I can’t wait to try this! I love blueberry sauce. I am craving it now looking at these photos. I like your suggestion a lemon basil variation as I have never tried it. 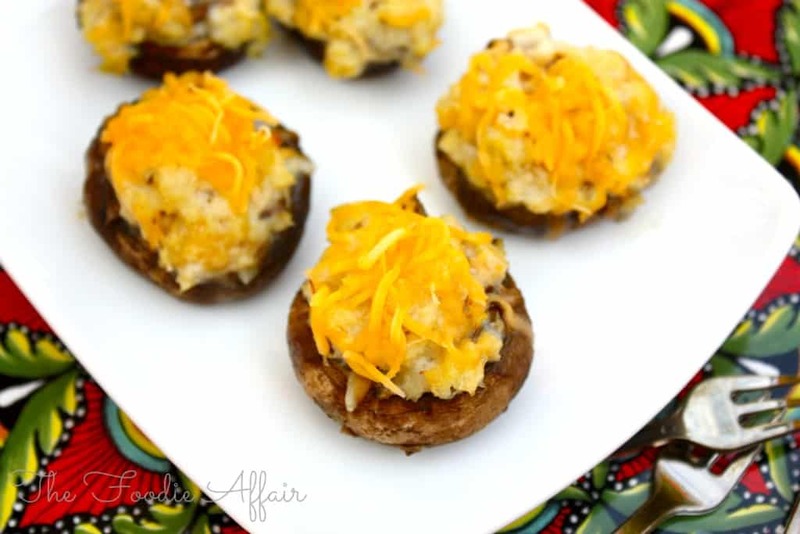 This looks so easy and delicious, my kids would love it! 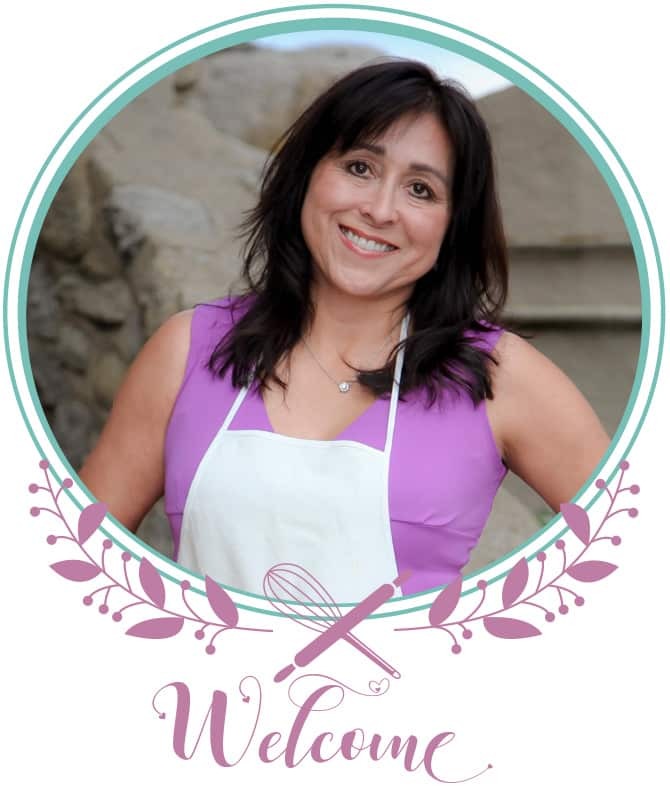 Homemade fruit sauces are the best and yours looks exceptionally good!! Such a great post! Wow! Just look at the thickness of that blueberry sauce. It looks so perfect. 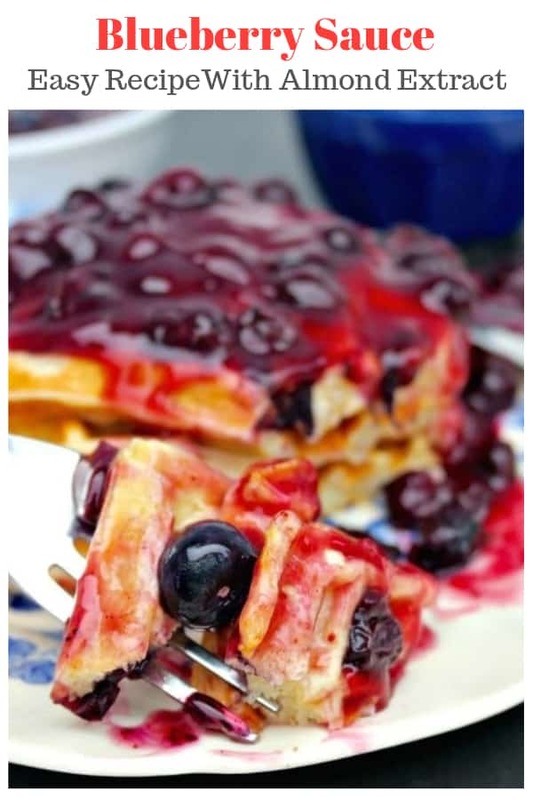 I believe that besides from cheesecake, it would be perfect for pancakes and waffles too. I’m sitting here eating a slice of cheesecake and this sauce is what will take it to the next level. Thanks for sharing! Great addition of orange and almond flavour into blueberry which I never thought of. Thank you for the great recipe.